Home › Shopping › What Does NordVPN Do? When browsing and shopping online, there is very little actually protecting your identity and personal data. A Virtual Private Network (VPN) is a service that extends a private network over a public network, allowing you to access the web securely by routing the connection through a server. It’s a smart way to add privacy and security when browsing on public and private networks, including Wi-Fi hot spots. By using a VPN, you can protect sensitive information like logins, emails, and bank account data from prying eyes. It can also mask which websites you visit. Virtually everyone can benefit from a VPN, but they aren’t all created equal. Here’s what you should know about NordVPN, which is well regarded for its strong features, huge server network, and speed. Does NordVPN Slow Down Internet Connectivity? NordVPN: The Good, Bad & Ugly! Can I Watch Netflix Using NordVPN? A VPN like NordVPN works by creating a secure connection between a remote server that’s run by the VPN provider and your device. When you connect to a NordVPN server, all internet traffic is channeled through an encrypted tunnel that makes it very hard for anyone to track you or steal your data. Your device, such as your laptop or phone, will also be assigned the IP address of the VPN’s server to mask your identity and make it look like you’re located in a different location. Without a VPN, your internet service provider (ISP) receives a request to access the internet and redirects you to a website. The ISP can monitor all internet traffic that passes through their servers, meaning you really have no privacy. NordVPN hides all of your internet traffic, communications, transactions, and other sensitive information from your ISP. All of your traffic will be encrypted and sent to the VPN server you choose. Your ISP can’t log, monitor, or limit your internet activity and will only be able to view the IP address of the VPN server. A common misconception is that VPNs are only for people with something to hide. The truth is most consumers choose to use a VPN for greater security and privacy while browsing the internet, shopping online, and even accessing bank information. Browsing with a VPN encrypts your communications. Not even the government or your ISP can see the websites you visit or intercept your online activities. It also hides your online activity from hackers and other third parties. This security is especially important when you are using public Wi-Fi, which is notoriously unsecure and risky to use. Using a VPN also hides your IP address. Because your device will appear to have the IP address of the VPN’s remote server, you’ll appear to be in a different country, continent or region. This is helpful when traveling abroad because the content you access in your home country may be unavailable or censored where you are. A VPN allows you to completely bypass censorship and geographical restrictions. Of course, this works the other way around, meaning that you can access content with a VPN that may not be available in your home country. Many people also use a VPN for downloading torrents. NordVPN has special P2P servers that are designated for keeping torrenting activities secure and private. You can access these specialty servers for a faster and more secure torrenting experience. There are many times when it may be a good idea to use a VPN. You may want to use a VPN just for regular browsing to protect your privacy, but it’s even more important when shopping online, logging into websites, or using online banking. Protecting banking and other financial information is especially important. Online security experts also caution against using public Wi-Fi without protective measures in place. You may also want to use a VPN while traveling in order to access geo-restricted or censored content that you can normally view at home. VPNs are also helpful for downloading torrents. Although its cost is a bit on the high side, NordVPN is one of the most feature-packed VPNs available. Speed can be a concern with a VPN, but NordVPN offers generally fast speeds even when torrenting or streaming Netflix. You may notice speed fluctuations with some servers, but you will connect automatically to the least-busy server in your chosen country. NordVPN probably has the largest server network in the industry. It has more than 5,000 servers across the world, which is a huge advantage over most VPNs. This gives you a large selection of servers to choose from in order to boost reliability and performance with more available bandwidth. This feature, also called double-VPN, routes traffic through two VPNs before it exits onto the unencrypted internet. Double data encryption offers the greatest amount of security and privacy. NordVPN has two types of kill switches. You can choose whether you want to close an app or completely terminate your internet connection in the case of an unexpected internet dropout. NordVPN has applications for Mac, Windows, Android, and iOS devices as well as 40 other mobile OS, routers, and Raspberry Pis. There are also detailed connectivity tutorials for each option. NordVPN is based in Panama, a country that does not share logging information. Online privacy advocates recommend avoiding VPN providers based in one of 14 countries that are collectively known as the 14 Eyes. They include the United States, the United Kingdom, Canada, Australia, New Zealand, Norway, Sweden, and Germany. A government could essentially demand access to customer data from a VPN in one of these and the other 14 Eyes countries. CyberSec ad blocking is a relatively new feature of NordVPN. It protects you from obnoxious online ads and malicious threats. When enabled, CyberSec blocks harmful websites to protect you while on the internet. It also blocks pop-ups, auto-play ads, and other advertisements as soon as you enter a website. The support staff at NordVPN is knowledgeable and easy to reach. You can reach customer support through email or live chat to ask questions about the service or get technical assistance. They also maintain a knowledge base of support articles to help you set up your VPN and use its many features, which aren’t always intuitive. NordVPN has payment plans ranging from month-to-month to annual options. With other quality VPNs, the monthly cost is typically between $3 and $8. NordVPN’s one-month plans are a bit higher than that, but the service offers features you won’t find with a cheaper VPN. For example, it allows up to six simultaneous connections. It also includes a kill switch and optional double-data encryption, and it offers great performance for Netflix. This may make it worth the extra cost to you. NordVPN accepts plenty of payment options for extra security and privacy. Along with standard credit card payments, you can pay with PayPal, cryptocurrencies (Bitcoin, Ethereum, and Ripple), and other methods, including Giropay, WebMoney, and Alipay. 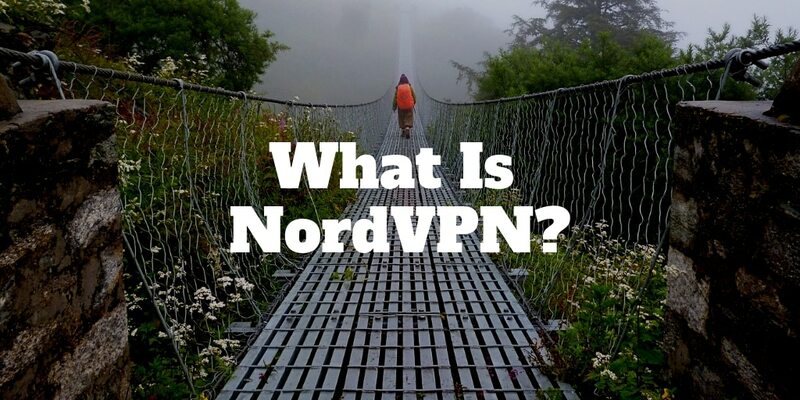 NordVPN has several features that make it a safe choice for securely browsing the internet. A kill switch is a way to protect you from accidental exposure if your VPN connection unexpectedly drops. When the network connection is lost, your computer will default back to your public IP address provided by your ISP provider, which means your activities will be exposed and trackable. You may not even know this happened without a kill switch. While NordVPN boasts 99.99% uptime, the kill switch is still an important safety measure. It will terminate your online connection if your network is disrupted. When using a VPN, your IP address should register as the VPN server’s IP address. If a test shows your regular IP address, it means your browser is leaking the information. Another way NordVPN protects your privacy is by ensuring that there are no DNS or IP leaks. When you use a VPN, you are trusting the VPN provider with your data. While your online communications are secure from third parties, the VPN operator and systems on the same VPN can log your data if they choose to. It’s important to choose a VPN provider that does not keep logs. NordVPN has a strict no-logs policy. They do not track your internet activity and cannot hand over your browsing information because they don’t have it. One of the most important things to consider when choosing a VPN is whether it will slow down your internet speeds. In the past, NordVPN speeds were about average. They have improved significantly and now test among the top, achieving downloads speeds of 70 Mbps+. It’s easy to see why NordVPN has a reputation for quality service. Before you decide whether it’s right for you, however, it’s a good idea to quickly consider what it has to offer. Despite its higher cost, NordVPN outshines the competition in many areas. If you want a safer and more secure internet experience while enjoying the availability of advanced features like ad blocking, NordVPN offers significant value for its cost. One of the most popular uses for a VPN is streaming Netflix. Netflix from areas like the United States, Canada, and the United Kingdom is in high demand in other regions. Netflix users in the U.S. and Canada may also want to watch Netflix content in other regions of the world. The “issue” with this is that a Netflix VPN ban is in place. Netflix routinely bans IP addresses associated with VPN servers, and it has one of the most sophisticated VPN-detection systems around. Not all NordVPN servers work with Netflix, but many do.